Nico Mallozzi, of New Canaan, Connecticut, a healthy, happy, and go-getter youth hockey player, died Sunday, January 14, at a hospital in the New York Catskills, following a momentary hospitalization at Women & Children’s Hospital in Buffalo, from complications of the flu, which got progressively worse as he and his family were returning from a tournament in Buffalo, the Connecticut Post reports. He was 10. As of our publication date, a GoFundMe page for Nico had passed its $100k goal by more than $74,000. Dr David Reed, New Canaan’s director of health, told the Stamford Advocate that Nico had been diagnosed with Influenza B during what is shaping into a terrible season for the flu in the Northern Hemisphere, following a flu season in the Southern Hemisphere, in places like Australia, that was the worst since 2009. 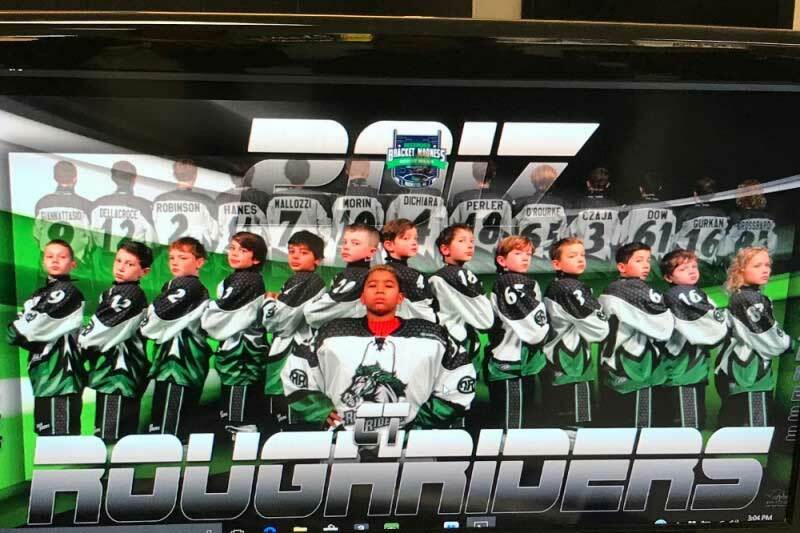 Nico was a member of the RoughRiders youth hockey team and had gone to Buffalo to be with his team members. He felt sick and couldn’t play, however, and his illness made a turn for the worse as he headed home. The flu virus, which affects the respiratory system, had caused pneumonia, doctors said, which then developed into sepsis and caused his death. Influenza B is a different type than the most common type of the virus, Influenza A, but it can be just as serious. It was once thought that the B type was less deadly, but the Centers for Disease Control and Prevention issued a report in 2014 that debunked that myth. The virus causes the most serious health effects in young children, the elderly, pregnant women, and those with other respiratory problems. Most of the people who die from complications of the flu are in one of those categories, but occasionally, school-age children die. Since the 2004-2005 season, when the CDC first started tracking pediatric deaths from the flu, the total number of influenza-associated pediatric deaths had previously ranged from 35 to 171 per season. This excludes the 2009 pandemic, when 348 pediatric deaths were reported to CDC during April 2009 through October 2, 2010.